Let the good times roll at Boomtown New Orleans—the friendliest casino around. A sprawling hotel casino has 4 restaurants. Between games you can choose from one of our delicious cafes and restaurants or cozy up in a booth with a drink and friends. In Boomtown’s unpretentious and inviting atmosphere, you’ll feel like a friend, not a number. 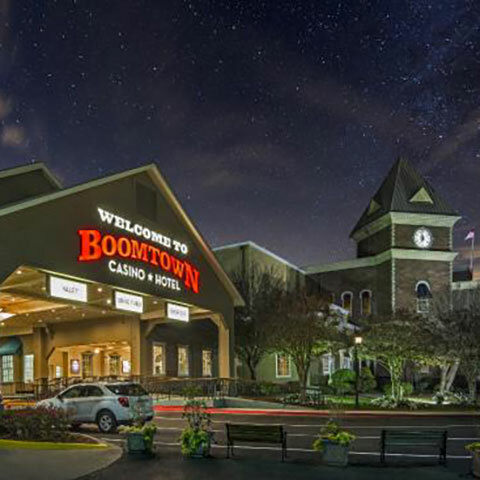 If you’re looking for your friends and for a few good excuses to get a little wild, chances are you’ll find everything you want at Boomtown® Casino on the West Bank, just 30 minutes from the French Quarter. Open 24 hours day, 365 days a year, there’s no off button here, just the perfect space to let your destiny unfold among 30,000 square feet of gaming space. When it comes to table games, Boomtown holds nothing back with 31 of your favorites to choose from. choosing what game to play next that might be a bit of a challenge. Give your veins a jolt with over 1,400 slots and video poker machines on three floors of adrenaline-infused gaming.